Professional excellence requires dedication and responsibility, and is something that the best continuously strive to achieve. In order to maximize potential, it is essential that professional development is seen as an ongoing process. We should always be looking for ways to improve our skills, abilities, and base of knowledge as a means to maximize performance. Loss prevention certification is a means of establishing and validating that standard of excellence. We are pleased to recognize and congratulate those industry leaders who recently obtained their LPC certification. Despite their demanding schedule and having other impressive educational credentials, they still saw the value and took the time to obtain this industry-leading LPC credential. In order to achieve the highest standards of excellence, loss prevention professionals must embrace the importance of continuing education as a gateway to higher performance and achievement within the profession. The best way to invest in our future is to invest in ourselves, and each of us holds the responsibility to maximize our talents and abilities to best serve our professional ambitions. Loss prevention certification is an investment that we make in ourselves. It is not simply a commitment to higher learning, but also a dedication to reach a higher standard. Each of these individuals is helping to raise the bar for the profession; and has earned both their designation and respect of the loss prevention community. It is our responsibility to manage the process; driven by individual learning experiences and carrying a personal signature for success. Continuing education, training and skills development, lifelong learning activities, intellectual nourishment and exposure to new ideas all contribute to that plan. Are you taking the necessary steps? To view the Recently Certified for December 2018, click here. 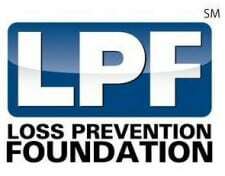 For more information on loss prevention certification and the certification process, contact the Loss Prevention Foundation at www.losspreventionfoundation.org.